Can you say PARTY IN THE BACK? OK, so I’ve been somewhat uninspired with this blog and the Canadian Tuxedos I find around Los Angeles. 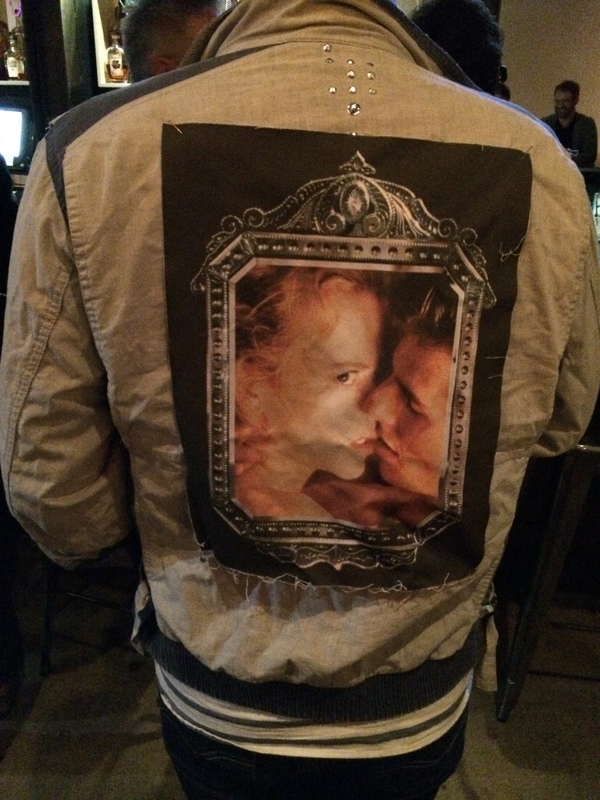 That is until last night, when this magical display of denim appeared at the new Plan Check Kitchen + Bar on Fairfax. Meet Sean Cabezas, who’s seen above in Levi’s jeans, Sperry slip ons (not the denim ones? ), an H&M button down, Zara hat and the pièce de résistance: Sean’s dad’s vintage bedazzled denim jacket with a pinned on patch he had made from his favorite film Eyes Wide Shut. Color me inspired. 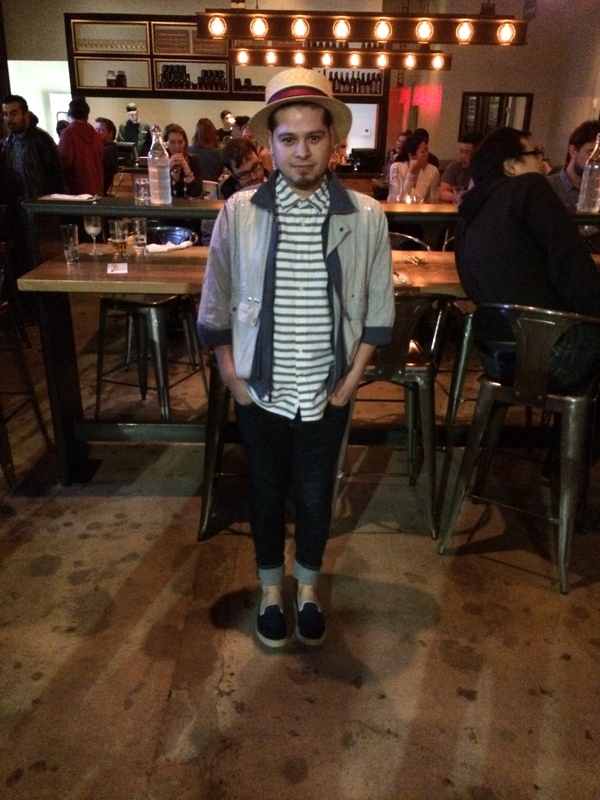 This entry was posted on Wednesday, March 5th, 2014 at 5:15 pm	and tagged with California, Canadian Tuxedo, Denim, Denim on Denim, double denim, Fairfax, Fairfax District, Fashion, H&M, Levi's, Los Angeles, Plan Check, Plan Check Kitchen + Bar, Vintage and posted in In The Wild. You can follow any responses to this entry through the RSS 2.0 feed. « Spring 2014 fashion: Do you dare to wear double denim, spring’s hottest trend?